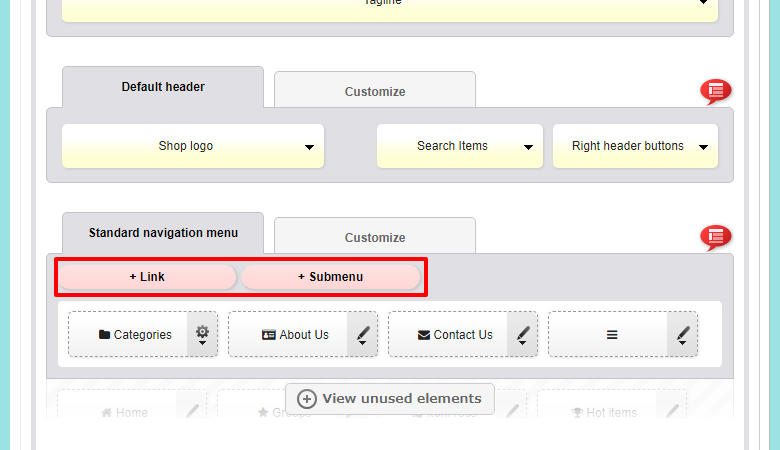 Links and submenus can be added to the shop header navigation menu on mobile HTML5 templates. 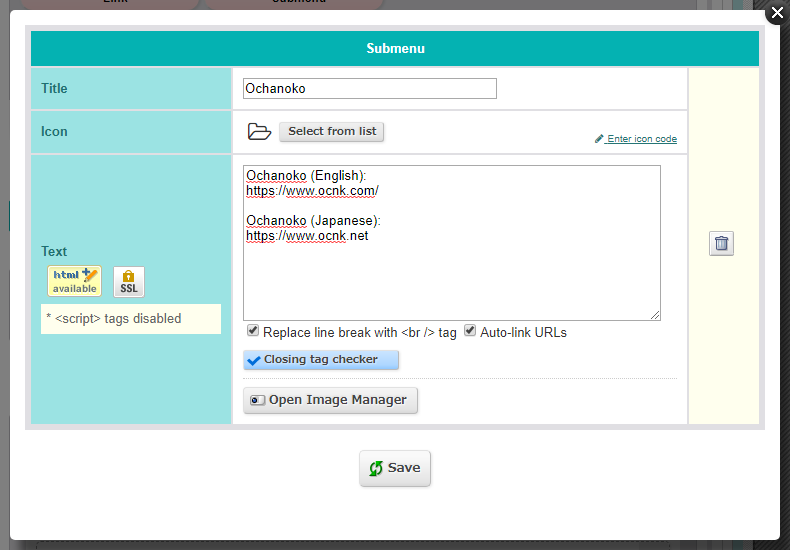 Clicking on links opens the link in the browser, and clicking on submenus opens a menu on the page displaying the contents of a customizable box. Both of these can be added to the main header by navigating to Mobile site → Layout, scrolling down to the Expanded navigation menu part of the Header section, and clicking + Link or + Submenu. They can also be added to the expanded navigation menu popup at Design → Expanded navigation menu in the same menu.